I mean I can give you a checkmate argument for each side. You know, I sometimes think, how is anyone ever gonna come up with a book, or a painting, or a symphony, or a sculpture that can compete with a great city. Because you look around and every street, every boulevard, is its own special art form and when you think that in the cold, violent, meaningless universe that Paris exists, these lights, I mean come on, there’s nothing happening on Jupiter or Neptune, but from way out in space you can see these lights, the cafe, people drinking and singing. Yes is it. The city of the love and of magic and one of the best photography locations in Paris. Doesn’t matter if is summer, winter, spring or autumn, this city gives you always something to get back to it. You can feel it, if you come here for the first time or for other thousand, you can walk for the same street hundred times and get lost in the ancient streets ending at the theme. In every time of the year, Paris is perfect. You can enjoy your stay in the city with a long walk around the river, with a look at the small kiosk or to the thousands of artists drawing a landscape, routine situation or persons. We rent an entire flat in Paris for our stay, we rent on Air Bnb because the French Capital is really expensive even for a small room. You can find our experiences on Air Bnb here. Paris is the Capital of France, the official currency is the Euro. It is a cosmopolitan city and almost all the shops accept payment by card, debit or credit and contactless as well. In the metro you can buy your ticket by card, there is a lot of chance from the typical 24h to an entire week. In the small shop, called boulangerie, especially typical one with rustic products the payment by card is not accepted and you necessitate of cash for buying something. Although we suggest you to get some cash in your travel, another is to don’t take more than you need. Paris is not one of the safest city in Europe. The level of safety you feel in Paris is really low, but this is subjective. All the sightseeing need a fee for entry and accepts payment by card. 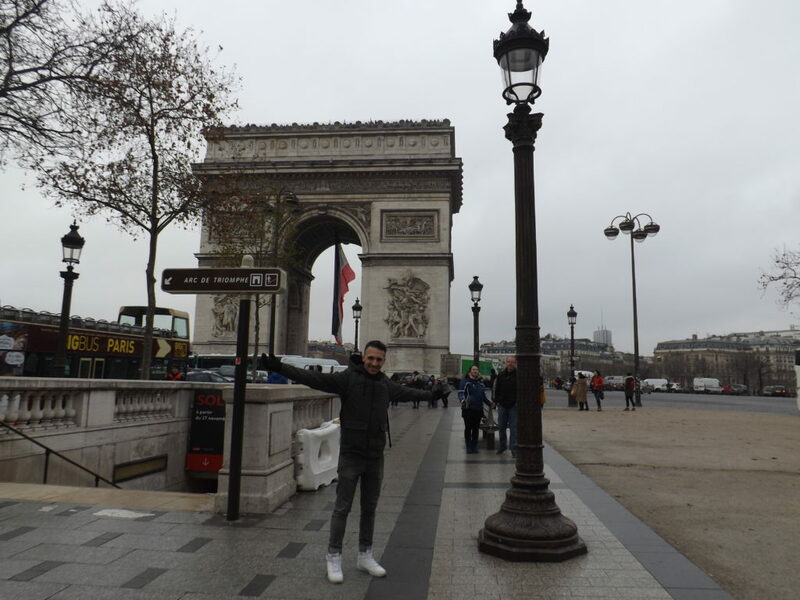 Our tour of Paris start from the best iconic monument of the city, one of the most knowledgeable in the World and remember to the people everywhere France and is the icon of the football team, the Paris Saint Germain. 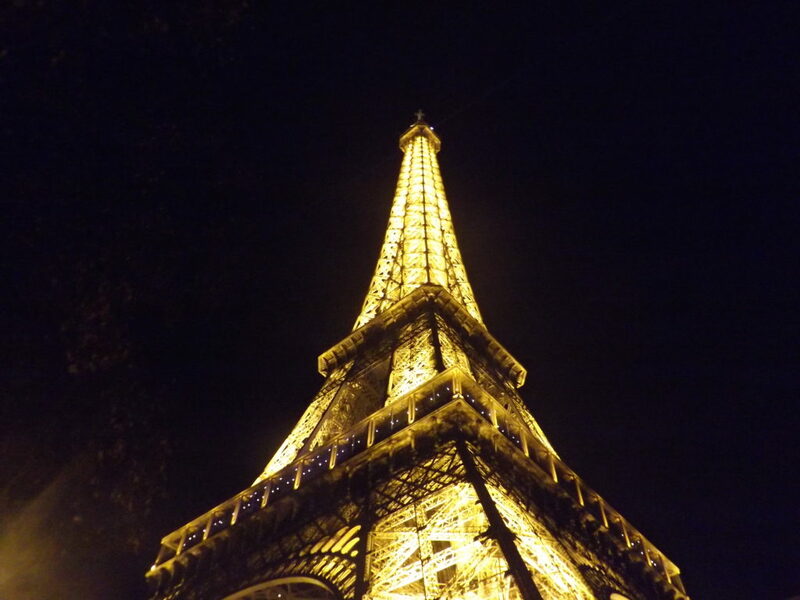 It was built for the Universal Exposition of 1889, it’s remembered as Ville Lumière Symbol. The closest metros are Trocadero and Champagne de Mars. 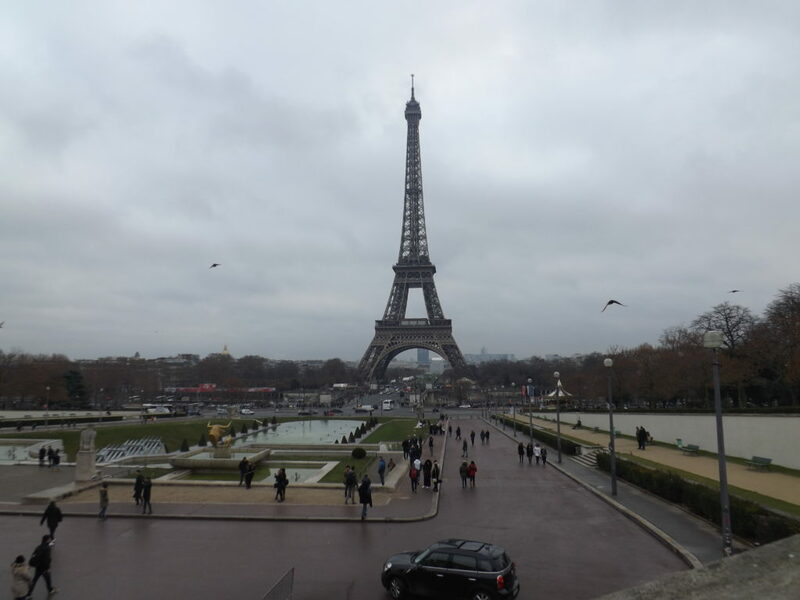 The Trocadero is a big terrace with a clear window on the Tour Eiffel and the garden. The other metro is Champs de Mars Tour Eiffel, just 5 minutes by walk to the Tour Eiffel. If you want to get up to the Tour Eiffel is not really expensive, and if you book it in advance you can skip the queue and save some money. This is the link to the booking. There are other three options, the ticket for the lift for the second floor for an adult is 11 euro, for young from 12-24 is 8.50 euros. The ticket for the lift to the last floor cost 14 euro, for young 14.50 euro. If you feel to be athletic or want to do some work out on one of the best monument in Europe, you can use the stairs, are a bit too much but the view you can see is awesome and the ticket cost only 7 euro, for young 5 euro. The kids under 4 years, don’t pay. On the first floor of the Tour Eiffel, there is a restaurant, is a touristic place and is really expensive, but the awesome view blocks your breathing for a couple of seconds. The monument is open 7 days on 7, the lifts are open from 9.30 am to 11.45 pm. The last access to the top is at 11.30 om and for the first and second floor at 11 pm. From half June to the end of August, the lifts are open until 11.30 for the tip and 12.30 am for the second and first floor. 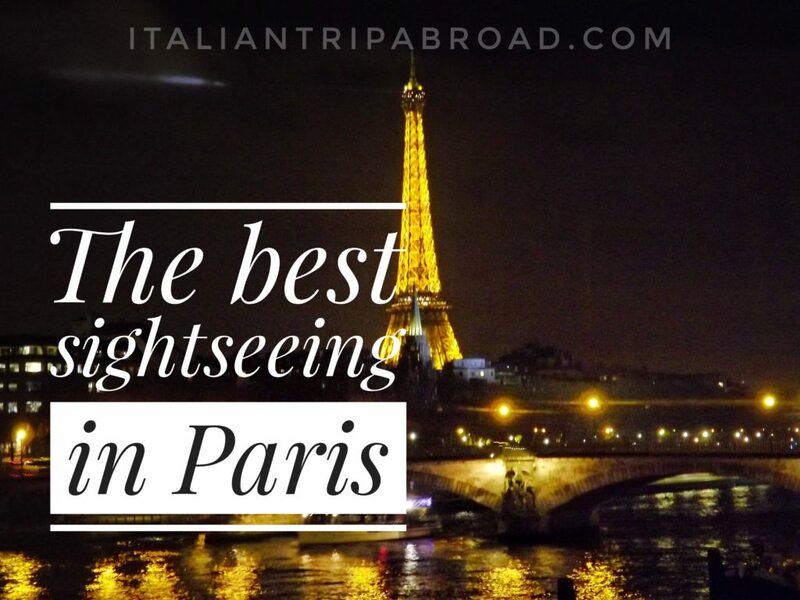 Visit the top of the best sightseeing in Paris and is the best photography spot of the city. 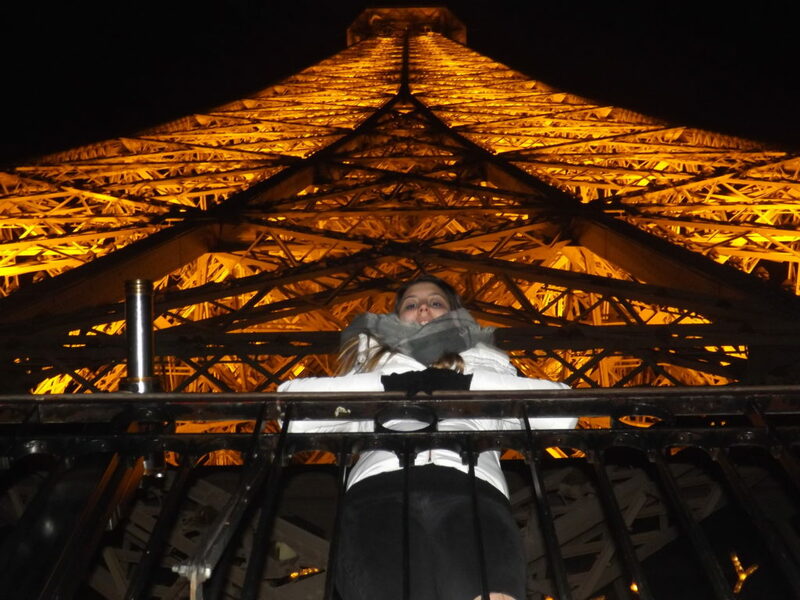 We visited the Tour Eiffel at night, was the 22nd of December and around everything was full of lights and colours, everything was sparkling and made the atmosphere magic. From the top of the Tour Eiffel on a clear and warm day, you can admire all the “arrondissement” of Paris. You can see all the extension of Paris. On the top is more cold, in winter is freezing, take with you a scarf over your camera. Is one of the most important in Paris, is across the river, in the heart of Paris. The Museum D’Orsay have a charm ancient and precious and after the Louvre is one of the most famous places in Paris. The museum host a lot of artwork produced between 1848 and 1914, from different Artists and belongings to different art movement, in it the Impressionism. The Museum get the Fame thanks to the impressionism, best movement during the “La belle epoque”. Here in Paris, the centre of arts, a lot of Artists from all over the World went for show their talent. Just not sculptors, painters, but also writers like Hemingway. At 5th floor of this magnificent building, you can admire the artwork of famous artist like Monet, Cezanne, Renoir o Degas and if you are fans of Van Gogh, you can admire the starry night on Rodano. Is really simple to come to the Musée, as you find written in French. The closest metro is Solférino o Assemblée Nationale, Musée d’Orsay (RER C). The ticket price is 12 euro, but every first sunday of the month you can entry for free. If you like this museum, you need to give some time to vist the Louvre. The Museum of the “Gioconda” Is on the opposite riverside of the Musée d’Orsay. Stop Palais-Royale/musée du Louvre of the Line one, is open everyday except Tuesday. Wednesday and Friday the museum open the door for a night visit, from 6 pm to 9.45 pm, for the under 26 the ticket is free and also every first sunday of the month, like for the other museum in paris, free admission. The price for the ticket for all the rest of the days is 15 euro, and is valid for all the day. The Louvre is famous for “The GIOCONDA”, of Leonardo Da Vinci, was painted in 1503 and is really small, not like everyone thinking. We advise you to turn your head back and admire the Canvas on the opposite side of The Gioconda, “The Cana Marriage” of Veronese. It is a painting wide over the whole wall, just from a few years the people start to evaluate this canvas before everyone was kidnapped from Leonardo’s masterpiece. 24 hours in this museum are not enough, but with a tour guide in your hand, you can admire all the masterpiece most important, like the “Virgin on the Rocks”, “The Venus of Milo” or the most beautiful for me “Cupid and Psyche” of Canova. Was one of the first monument we founded on our way when we arrived in Paris and needs to be in your bucket list of Paris photo tour. The entry in the Cathedral is free, but if you want to go up to the Towers, the price is 8 euro, 5 for reduction. You can remember the Cathedral by the Cartoon of Disney, The Hunchback of Notre Dame, from the novel of Victor Hugo. The Building is open from 1st of April to 30th of September, from 10 am to 6.30 pm. Night visits every Friday and Saturday of July and August, from 10 am to 11 pm. From 1st of October to the 31st of March, the visit is allowed from 10 am to 5.30 pm. The closest tube is Cité or Saint-Michel of line 4. You can use also the line 1 and 11 stop at Hôtel de Ville, and line 10 Maubert-Mutualité or Cluny – La Sorbonne, line 7, 11 and 14 stop at Châtelet. 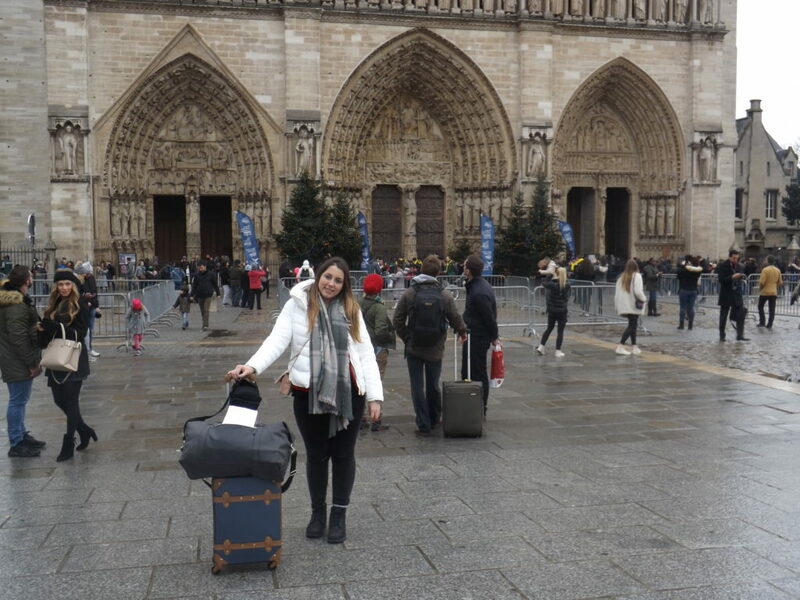 Notre Dame of Parigi is the most important gothic Cathedral in the World. Is one of the most ancient, and envied in the World. Toti saw it few years before but running on the way to his first solo travel to the UK. For him was amazing, beautiful, to take a few seconds of breath. The monument is on the way of the Champs Elysees in the centre of Place de l’Etoile and it is one of the most beautiful places in Paris. The building is inspired by the Triomphe arch of the Roman Empire. The construction of the Arch was inspired by Napoleone Bonaparte. After admiring the iconic monument of France, go over the street and start to swipe your credit card in the Shop at Champs Elysees. It is the second icon of Paris, Bonaparte ordered the construction of this Arch for showing the glory and greatness of his success and his army. Or you love Paris, or you hate it. Paris is a really romantic city, but if you have already been you can choose Vienna, which is one of the best cities we have been after Paris, of course. Sometimes you need to think why a lot of people every year choose it for holiday or just for a short trip. You need to go to Paris for understanding how it is beautiful, and also this city can give you different ways to love it. Why don’t go for a short day trip out of Paris. Just 45 minutes away from the big French Capital there is Champagne. The name will say something to you already. Champagne is a nice place where relax and take a short break, trying the typical product, the Champagne. I will confess to you a truth. The first time I have been to Paris was just for a study holiday in a college, after that, after few years I decide to come back with a person I love and I have decided to spend it with him (Toti). We decided together to go for a most romantic holiday in a lovely place. We were over there in the Xmas time, where Paris give for us the best as it can, with all dressed up for Xmas time and full of sparkling lights. This is just my opinion about Paris, I love it, but is clear to think a lot of people talk about Paris like an unsafe city, dirty and without nothing better than other European Capital. But, do you know which is the secret of every trip abroad? Go with someone have your same passions, and also is hungry like you to see and explore the World, just like you.